YIIK is trying a lot. I generally think of “trying” as a good thing, in the sense that games that shoot for the moon are generally more likely to land somewhere among the stars. And YIIK (pronounced “Y2K”) is absolutely shooting for some very specific gaming stars, but there’s just too much weighing it down to ever escape the velocity of the works that it’s trying so hard to take inspiration from. Let’s start with the good: YIIK looks and sounds tremendous. Each environment is adorned in bright colors and flat shading, the low-poly modeling and minimal animation serving to invoke a mood of a dreamy, oversaturated childhood adventure. It’s no secret that YIIK is visually and mechanically inspired by 1990s JRPGs, but it’s in YIIK’s environmental and character design that those influences are worn most proudly. And for good reason—the game’s strongest aspects are in its visual and audio design, pulling liberally from Mother, early 3D Final Fantasy games, and the aesthetics of the Nintendo 64 era. Each environment or battle scene is unique and visually interesting, with a tremendous soundtrack pulled from an ensemble musical lineup including bo en, Toby Fox and Hiroki Kikuta. 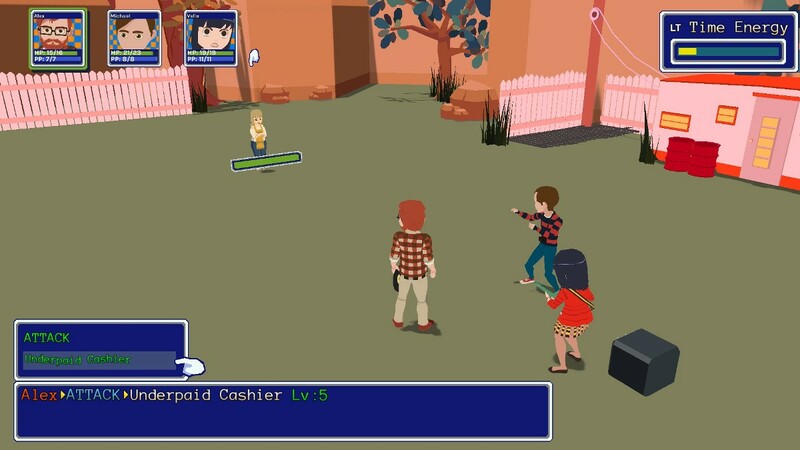 With all of that in mind, I came into YIIK expecting something admirable, a fusion of many things that I liked in separate places (RPG combat, low-poly oversaturated look, tons of character writing, surreal apocalyptic plot) pulled into a single package. What I found was a game that largely fell flat. YIIK follows Alex Eggleston, a recent graduate returning to his home town of Frankton. After following a cat with a mustache into an abandoned factory, he finds himself thrust into a surreal world of multiple dimensions, shadowy super-beings, and turn-based combat. When a mysterious girl from the factory is torn from Alex’s reality while in an elevator with him, he embarks on an obsessive quest to find her and find out what is going on. As Alex’s journey progresses, he is joined by a number of other allies with knowledge of the supernatural in some form or another. This crew includes Michael, his younger Frankton neighbor; Vella, the front-desk attendant at the local arcade with a mysterious past; Rory, the quiet brother of a girl who recently vanished; as well as Chondra and Claudio, siblings with a shared history of supernatural contact from nearby Wind Town. YIIK’s setup is strong, or at least strong enough that I was drawn in originally. However, after only a couple of the game’s battles, I found myself frustrated and bored. YIIK has a turn-based battle system (another clear example of the game’s influences), but lacks any of the nuance or strategy of the games it draws from. Your team trades blows with surreal enemies (animated stop signs and traffic cones, ninja turtles, ping pong balls, etc), each attack or defense being mechanized by a short rhythm minigame. These minigames are all the same, they never change, and they repeat literally hundreds of times. Every dodge is the same, every attack is the same (though different per active character). I had assumed (mistakenly) that these combat minigames would slightly change with different weapons or styles—Alex uses a vinyl record as a weapon, and his attacks consist of “scratching” the record at precise points to rack up a combo, which then is dealt in damage to the targeted enemy. One might think that upgrading the record would change these points of scratch, but that isn’t the case, and weapon upgrades for all characters become little more than minute changes to stats, with very little (if any) gameplay changes. I got the feeling that the game really wanted me to like its combat, and there was possibly nothing in the game I liked less than its combat. I found myself avoiding enemies in environments not because I was losing fights (far from it, there were only a couple boss enemies that felt actively dangerous to the party) but because each fight was so interminably long, each minigame so mind-numbingly repetitive, and the leveling-up process inscrutable and slow. Whatever joy I took in the game’s first few battles was effectively eliminated by the tenth time I had to do the same 20-second minigame to accomplish the same paltry 5 damage—and that’s assuming I did the minigame perfectly. Miss one note or slip on one of the rhythm sections? That’s a missed attack, try again next round. All of this would be forgivable (maybe) if the writing and story kept me engaged. I didn’t love the combat in Undertale, but the game’s sense of heart and character writing kept me playing the entire game. YIIK, though, is a… callous game. Characters act needlessly rude to one another, light-to-middling language is thrown around in side content (particularly some outdated terms for the mentally ill), and Alex himself is a tremendous fuckup—constantly monologuing to himself about how he should do things better next time after blowing up on someone who completely didn’t deserve it, or trailing off in long-winded descriptions of how sorry he feels for himself and how he deserves so much more (disturbingly, often how much he deserves to be with other female characters in the game romantically, even when those characters have expressed no interest in Alex). Which could be fine if the game had a sense of narrative arc to Alex’s character. I’m a noted fan of Night In The Woods, whose player character also is a bit of a fuckup and is needlessly rude at times. However, Night In The Woods wraps up that character arc in a few hours. 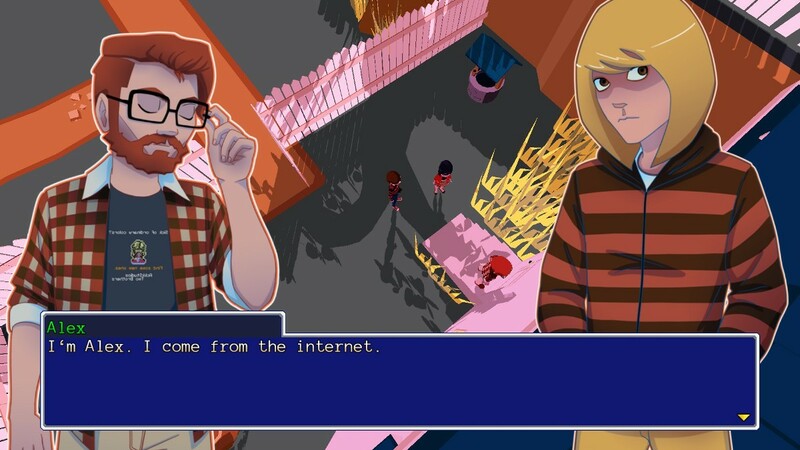 YIIK luxuriates in Alex’s many, many mistakes, to the point that at around seven hours into my playthrough, he had finally come to the realization (via a dream) that he should apologize more. Playing as Alex was exhausting. Not just because of his abrasiveness, nor his constant ignorance, nor his lack of social graces regarding women in basically any capacity—but because Alex represented a person that YIIK really wanted me to like. Alex is the beating heart of the game, both in a story sense and in a mechanical one. Alex is supposed to be the “everyman,” a sort of hipster analogue for the recently-returned-home graduate. But I am not Alex. Alex is a white man who has been ignorant of the ways that he has created hardship for those around him, and (as called out seven hours into the game by Claudio and Chondra, your playable team’s only black characters) has had nearly infinite chances to get better, but didn’t. Alex is not a very likeable person, by all accounts. And yet, I am playing YIIK to get Alex to a point of forgiving himself, to eventually take one of the millions of chances he is given to make something good with the world. And that is wholly exhausting. YIIK is clearly an autobiographical game to some extent. Alex, in-game, wears a shirt emblazoned with the logo of Two Brothers, Ackk Studios’ previous 2013 release. Minus the surreal aspects, it’s a core story that would resonate with many—coming home after college. I wouldn’t be surprised if it was drawn, at least partially, from the developers’ own lives. There will, likely, be people for whom YIIK is exactly the game they were looking for, who can empathize with Alex and his attempts to be better for hours and hours (and hours). But that person is not me. Which is why I find myself not angry with, but disappointed in YIIK. Where other games that draw heavily from the most celebrated of surreal ‘90s RPGs feel suffused with caring characters that carry the player through a harsh and weird world, YIIK comes off as callous, ignorant and (when the story finally begins picking up steam in its sixth or seventh hour) simply too late to be the groundbreaking experience that it so tries to be. 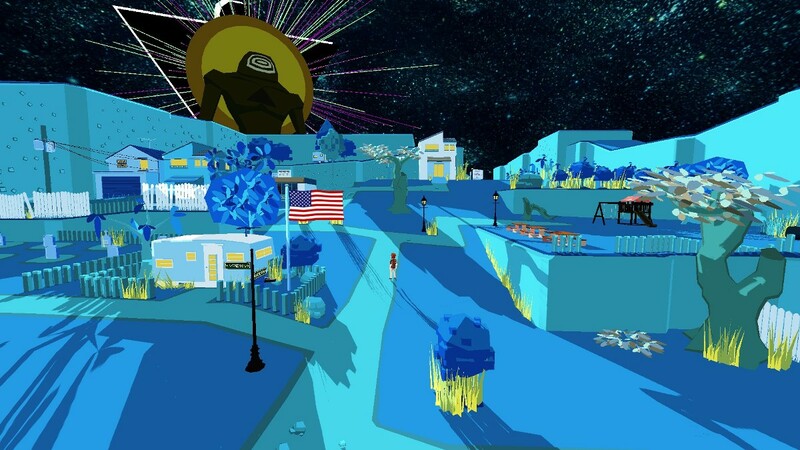 YIIK: A Postmodern RPG was developed by Ackk Studios and published by Ysbryd Games. Our review is based on the PC version. It is also available for the Switch, PlayStation 4 and PlayStation Vita.